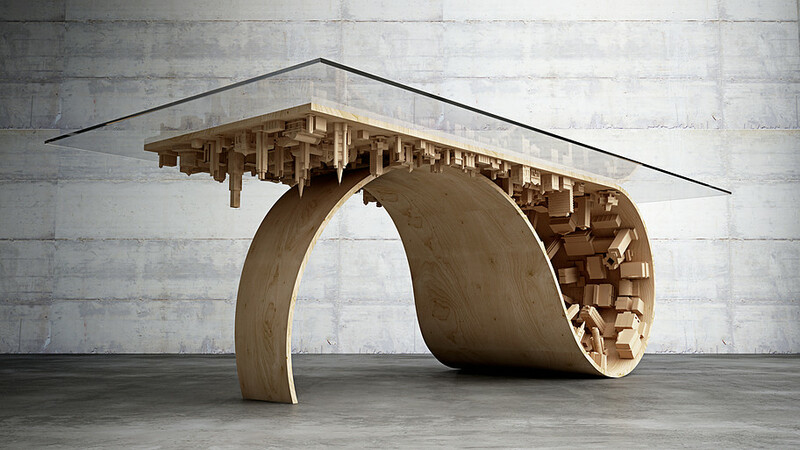 While Inception needs no sequel, we're happy to report that Stelios Mousarris has created a follow-up to his Wave City coffee table. 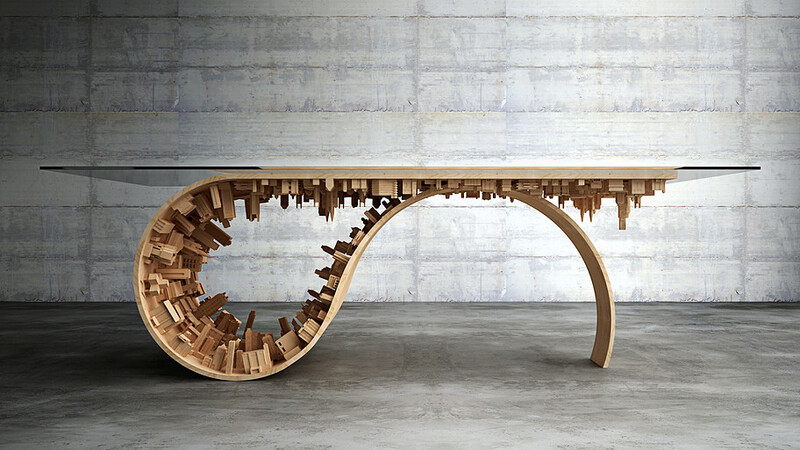 While the coffee table featured one hairpin turn, the Wave City dining table doubles up on the Bézier curves, curling up into itself and creating a forest of interlocking skyscrapers. While you might not be able to tell by the photos, this thing is huge, measuring over eight feet long. 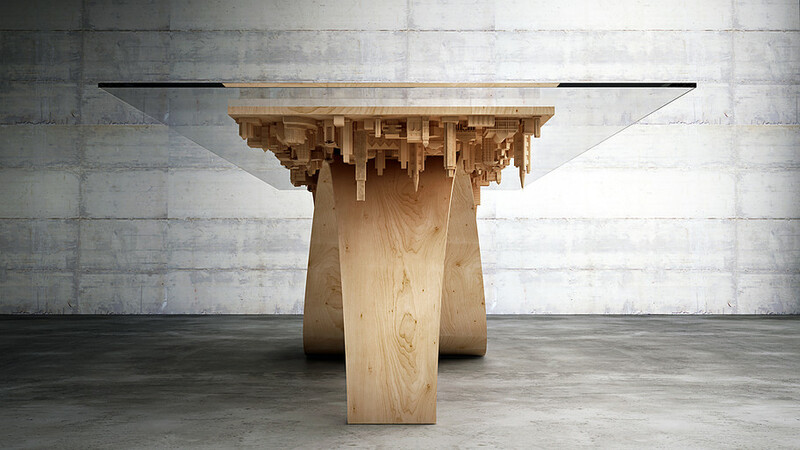 Maybe Mousarris will go extra small for his next project with a Wave City nightstand. We just got two wooden toys in our inbox. One's a cute bird and one's a turd. 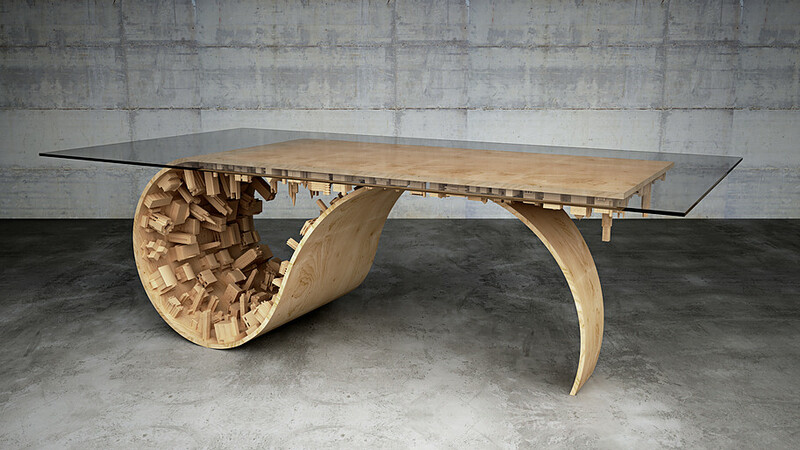 No, really, it's a stackable, customizable wooden toy shaped like a poo. Bai, the bid, comes in two sizes and comes in a cloth bag with sprinkles for customization. Andrew Bell just dropped a ton of Android news ahead of SDCC, and hoo boy does he have us excited. First and foremost, serious collectors of the Android series will be drooling at the wooden versions of the toy, which are made of oak and maple and stand 5 inches tall.